The launch of these ETFs expands Direxion’s stable of what they call “rules-based index ETFs,” which began with two ETFs that are based on insider trading data: INSD and KNOW. The three new ETFs also arrive just five days after S&P announced a new S&P Dynamic Rebalancing Risk Control Index Series, which provides the basis for evaluating volatility and matching equity exposure to anticipated risk. Readers with sharp memories may recall that back in July 2010, Direxion was the first ETF provider to announce that they would be launching a product based on the S&P 500 Dynamic VEQTOR Index, which was an effort to mitigate risk with a dynamic allocation of VIX short-term futures, essentially the equivalent of sizing a VXX hedge based on observed levels of implied volatility and historical volatility. I am not sure why Direxion’s VEQTOR product never saw the light of day, but Barclays ended up with one of the few successful VIX ETPs in 2011 (see VIX Exchange-Traded Products: The Year in Review, 2011) with its Barclays ETN+ S&P VEQTOR ETN (VQT) product, which I made a strong case for back in October 2010 in The Case for VQT. 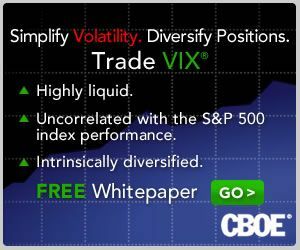 One of the interesting aspects of the approach taken by VSPY, VSPR and VLAT is that these products will tend to have minimum exposure when the VIX is at its highest – and as anyone who has ever looked a chart of the VIX and SPX/SPY knows, this is typically when stocks bottom and begin a sharp bullish move. With impeccable timing, EconomPic Data just happened to publish a study yesterday, VIX as a Predictor of Equity Returns, which concluded that for the most part, SPY daily returns were much higher with an elevated VIX than with a historically low VIX. Investors who believe they are more adept at timing the market may prefer to avoid the rules-based products that dynamically adjust exposure based on a static risk measurement mechanism. For those who prefer not to watch their portfolio closely or are not convinced that they can do a better job than the likes of VQT, VSPY and perhaps SPLV, the new category of dynamic risk exposure products should provide some excellent tools for portfolio augmentation and in some cases, portfolio replacement.